What comes to your mind when you think of locksmith services? It is probably the times when you need help with broken locks or lost keys. Well, professional locksmiths do more than just fixing broken locks and make new keys. And some of them may take you by surprise. 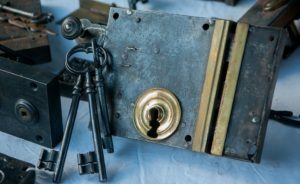 Here is a list of some lesser-known many locksmith services. Not all locks can be installed after watching a DIY tutorial. Some locks are not easy to install and configure. You need technical expertise and the right tools. Without these, you are most likely to damage the lock while trying to install it on your own. It is best to take the help of professional locksmith like Racine’s Lock & Key so that the locks are installed properly. We have years of experience in installation of any and all types of locks – including digital locks, biometric locks, mortise locks, electric strike, master keys, door closers and electronic deadbolt locks. Most people think that locksmiths can only help solve the lock & key-related crisis. You may not know that they can also help secure your house or commercial properties. Professional locksmiths have the understanding and experience to assess the vulnerabilities and potential security loopholes accurately. Residential Properties: You can rely on locksmiths to fix your house’s security flaws, and prevent potential break-ins. They help boost the safety of your house in all aspects, and not just the front door. They can help you upgrade your locks, secure your windows and can also install security systems and suggest good options for outdoor lighting. All these factors help in making your home more secure. Commercial Properties: Commercial locksmiths do a proper assessment of your property and determine the security lapses. Based on their findings, they recommend solutions that increase the security of your commercial property. Not only they help strengthen the entry points but also implement other access control solutions that help restrict access to highly sensitive or confidential areas inside the building. More often than not you are likely to call an automotive locksmith for a quick car key replacement when you have lost your keys. But most people don’t realize that an auto locksmith can fix ignition switch issues. So, if you are stuck with a faulty ignition switch, you can call a car locksmith who can come to your location saving you money and efforts in getting your car towed to another place. They are also likely to charge you a lot less than car mechanics or dealership. In case of missing keys, the first thing you should do is to get your locks rekeyed. This helps to prevent a potential break-in in case your keys have fallen into wrong hands. You can also go for lock replacement but that would be a costly option. On the other hand, lock rekeying is a comparatively faster and cheaper yet equally effective method to make sure your home security is not compromised. Rekeying is the process of making the lock work with a different key, and it costs less than buying a brand-new lock and other hardware. A residential locksmith can easily rekey your lock. An experienced locksmith can help you do more than just installing regular locks. Are you looking to install intercom systems, digital peephole, magnetic locks, biometric locks, RFID card readers or panic bars? You can rely on an expert residential locksmith in Racine to install any type of access control system for your residential or commercial property. Our locksmith in Racine specialize in installing all types of standalone or integrated security systems to give you better security and better control over access to your property. You can consult a locksmith to explore available options and what might work best for you. Need a qualified locksmith in Racine for varied lock and key requirements. Call us at (262) 509-0366 today! !